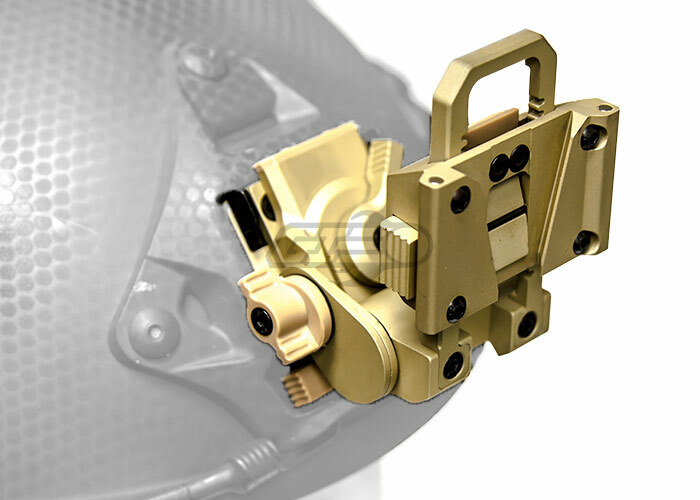 The Lancer Tactical L4 G24 NVG Mount is constructed from CNC Machined aluminum to be durable and lightweight. 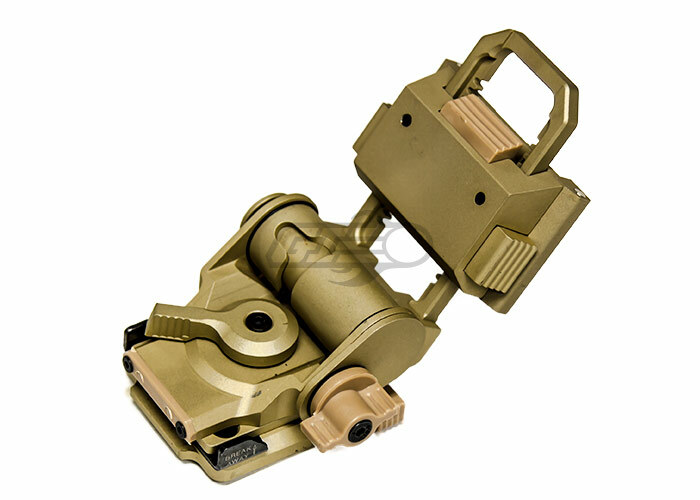 It is compatible with most helmet shrouds and NVGs equipped with a dovetail shoe. 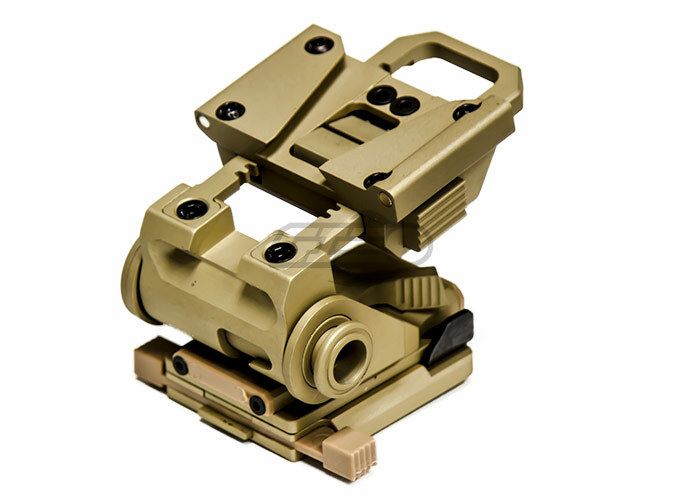 It has a range of different adjustment options to insure proper eye position of a night vision device, including fore/aft, vertical, and tilt adjustments. 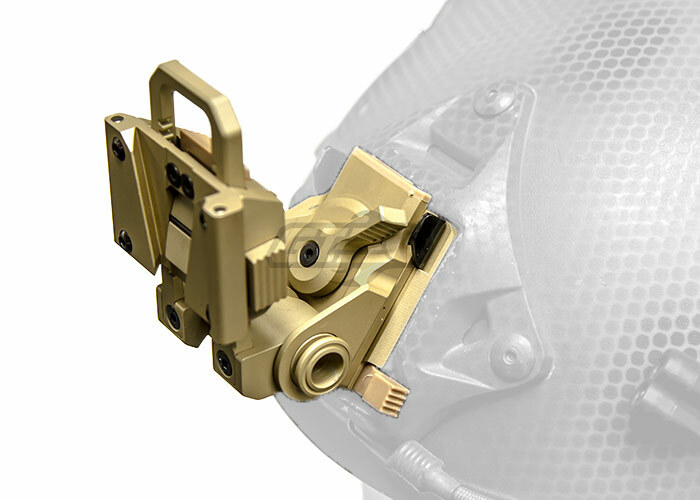 Break-away feature can be engaged to prevent injury if the attached NVGs where to get caught on something. All controls can be reached and operated with just your support hand. Pretty much total crap! When I first got it 2 of the screws had completely fallen out of it but thankfully were in the box. I took about a half an hour completely disassembling it and putting loctite on every screw. Once all of the screws were tight the up and down adjustment rail would no longer engage correctly as it relied upon the slop from loose screws to give it enough play to lock over. I had to do some filing on the locking mechanism and got it to work somewhat good. Would I trust this item hands down??? No probably not but for airsoft compared to the real thing I guess it will work. What the high Max weight can it hold? Possible? It should be able to fit the night vision, however, it is not recommended for use with real night vision.